Head Start is a federally funded program for eligible preschool children and their families. The program began in the summer of 1965 as part of President Lyndon B. Johnson’s War on Poverty. Nationally, Head Start has served over 30 million children since 1965 and celebrated its 50th anniversary. Head Start is administered by the Administration of Children and Families (ACF) in the Department of Health and Human Services (HHS). Adams County Children’s Educational and Special Services (A.C.C.E.S.S., Inc) is the Head Start grantee in Adams County, PA, and has been since 1982. 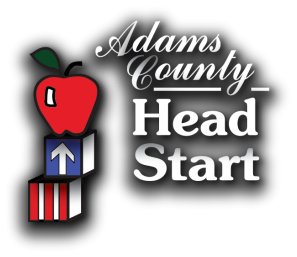 Adams County Head Start currently serves 216 children and their families each year, supporting the educational, mental, social, and emotional development of children 3-5 years. In addition to educational services, the program provides children and their families with health, nutrition, social, and other services. ACHS recognizes that parents are their child’s first and most important teachers and welcome parent involvement in all areas of the program.